We’ve seen some juicy deals on Corsair’s excellent K70 mechanical keyboard lately, and while the deal Amazon is offering today isn’t the best we’ve seen, it’s still pretty darn good. The online retailer is selling the Corsair K70 RGB MK.2 for $100. That’s $70 off the usual price, and the all-time low at Amazon for this particular keyboard. This isn’t the low-profile version of the K70 MK.2, which we spotted for $90 at Best Buy in January. Nevertheless, it offers a similarly stacked set of features as its laptop-like cousin: Cherry MX Speed switches, per-key RGB backlighting, 8MB of onboard profile storage, USB passthrough for your mouse or headset, anti-ghosting, full-key rollover, and compatibility with Corsair’s iCue software for syncing all the Corsair RGB gear on your rig. Overall, the Corsair K70 sticks to the same design regardless if it’s the full desktop build or the low-profile version. The biggest differences are that the low-profile version uses the flatter, more laptop-y keycaps, and the underlying switches themselves are smaller. If you like the look of the K70, but don’t need that laptop-style look and feel, this traditional desktop version is an excellent choice. And today, it’s selling for an excellent price. 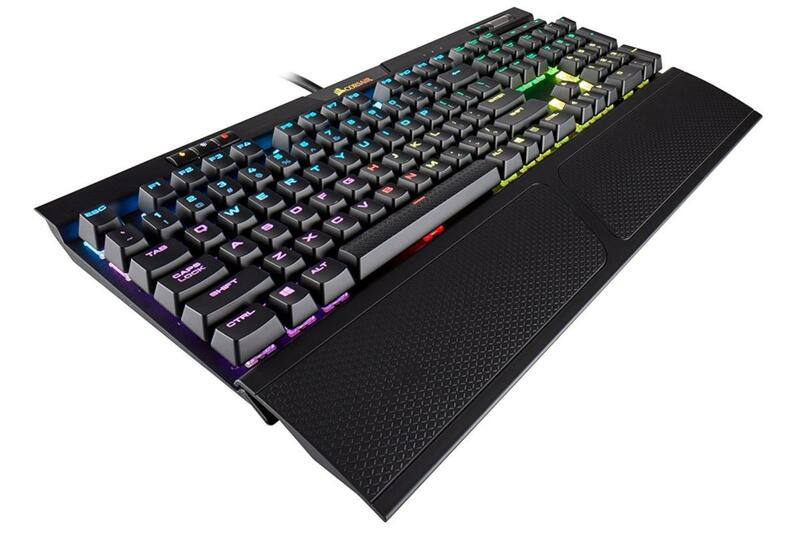 This story, "Corsair's sublime K70 MK.2 mechanical keyboard is $70 off today" was originally published by PCWorld.